Grew up with Neptunas Klaipeda ((Lithuania) juniors. Played college basketball at Pittsburgh University (1998-2003). Moved to Poland for the 2003-04 season, signed by WTK Wloclawek. On December '04 moved to France, signed by BC Besancon, in the French Pro-B. On February '05, moved to Belgium, signed by Liege Basketball. Back to Poland for the 2005-06 season, signed by WTK Wloclawek. On April'06 moved to Italy, signed by Amatori Basket Udine. Moved to Lithuania for the 2006-07 season, signed by Neptunas Klaipeda. On November'06 moved to Ukraine, signed by Dnipro Dnepropetrovsk. Back to Lithuania for the 2007-08 season, signed by BC Siauliai. Signed for the 2008-09 season by Lietuvos rytas Vilnius. Moved to Germany for the 2010-11 season, signed by EnBW Ludwigsburg. 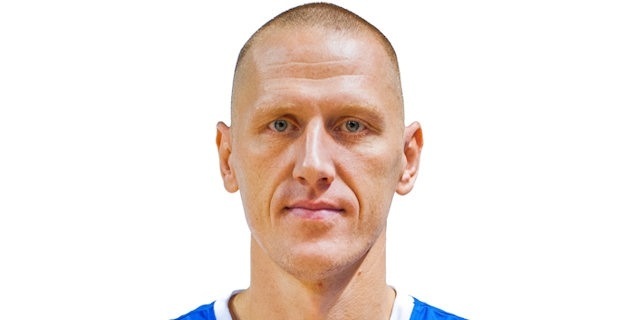 Moved to Latvia, signed by VEF Riga for the remainder of the season. Moved to Germany for the 2013-14 season, signed by Telekom Baskets Bonn. On December'13 moved to Italy, signed by Vanoli Cremona. Won the 2009 Eurocup with Lietuvos rytas Vilnius.